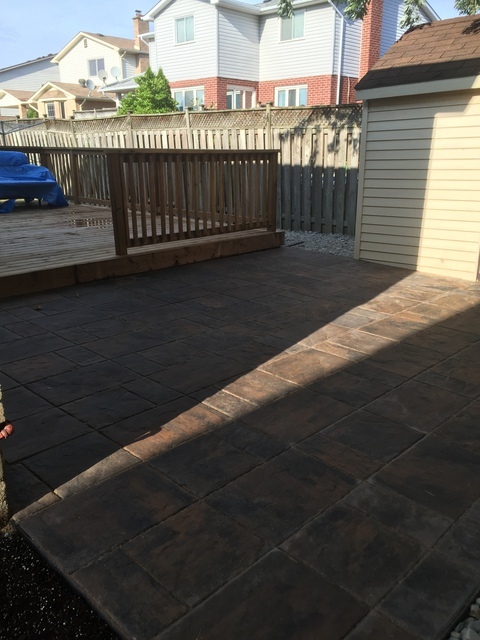 HomeStars > Landscape Contractors & Designers in Welland > Homefront Landscape > Backyard flagstone patio (Unilock product) and River Rock landscape from deck to fence. 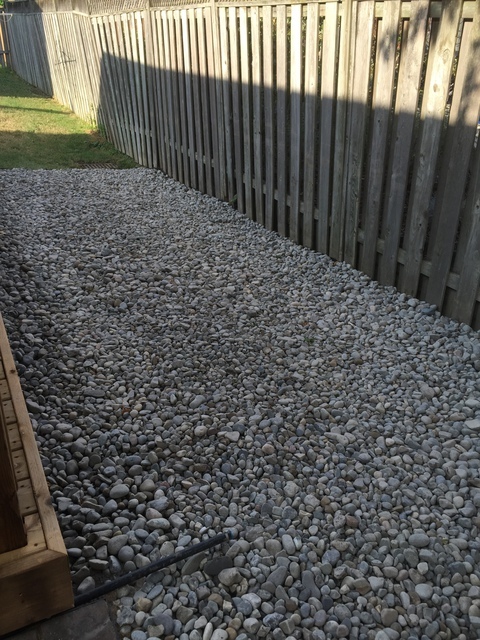 Backyard flagstone patio (Unilock product) and River Rock landscape from deck to fence. Fabulous job by Luke! 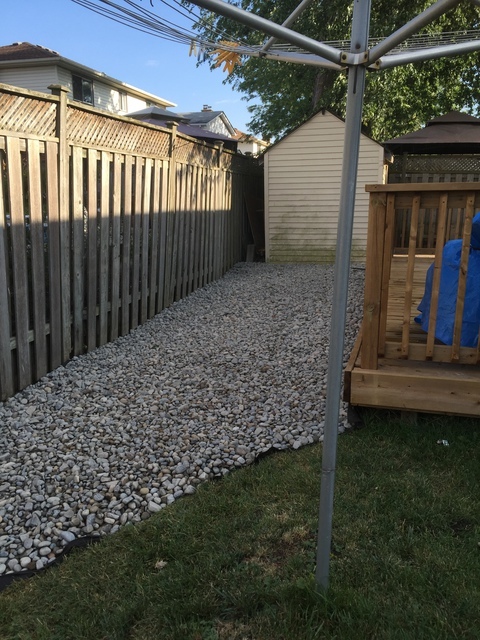 Patio looks great and river rock adds a nice appeal to my drainage yard. Excellent choice with Unilock flagstone (Sycamore). Nice uniformed blend of colors. Great sportsmanship and respect from Luke and his crew! I would definitely recommend Homefront Landscape! !